One of the largest cross-border regions of the greater El Paso-Ciudad Juarez metropolitan area, Sunland Park sits at the crossroads of the United States-Mexico border and at the juncture of three states: New Mexico, Texas and Chihuahua. 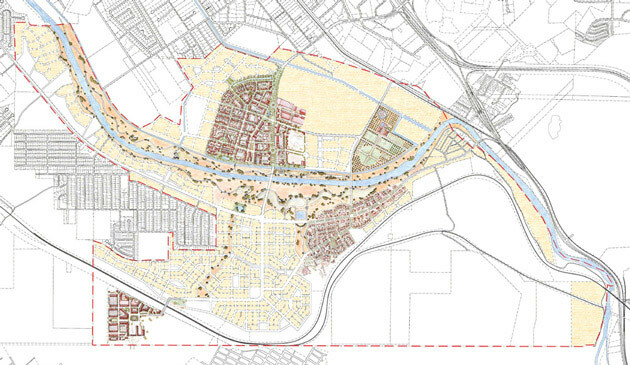 The master plan for this unique location includes a new international border crossing, a downtown district with new civic and entertainment centers and a mixed-use corridor that includes residential and retail development. 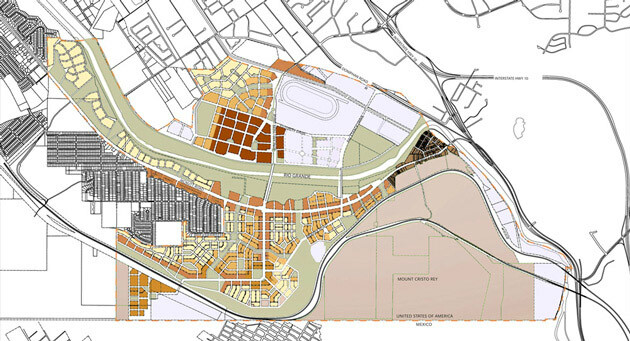 The plan focuses urban character and land uses around several key features such as El Cristo Rey Mountain, the Rio Grande and the Sunland Park racetrack and casino. Pedestrian activity and building types are thus concentrated on the 3,000-acre site, preserving and enhancing environmental features, generating economic revenue for the city and fostering a system of regional and local transportation. 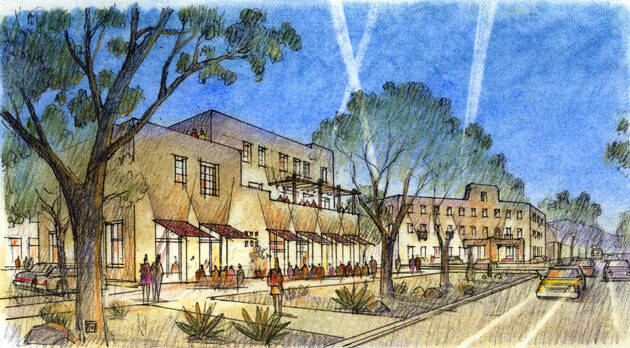 Future development is guided by a system of pedestrian-friendly blocks and streets with a development code that recognizes and preserves existing assets that will promote a prosperous future for the Sunland Park.